The importance of using real vanilla extract in our baking is more important today as our attitudes are starting to change over using artificial flavouring. In this post we will run through the benefits of using real vanilla over a sythentic composition called vanillin, using the right ingredients makes a difference to the end product. Real vanilla is grown 23 degrees either side of the equatorial belt. It takes approximately 4.5 years from growing to eating. Unless there are native animals available to pollinate the vanilla orchid then it can be meticulously hand pollinated. 97% of the food industry use the synthetic version! that means that most of the vanilla you come across in your food isn’t the real deal. 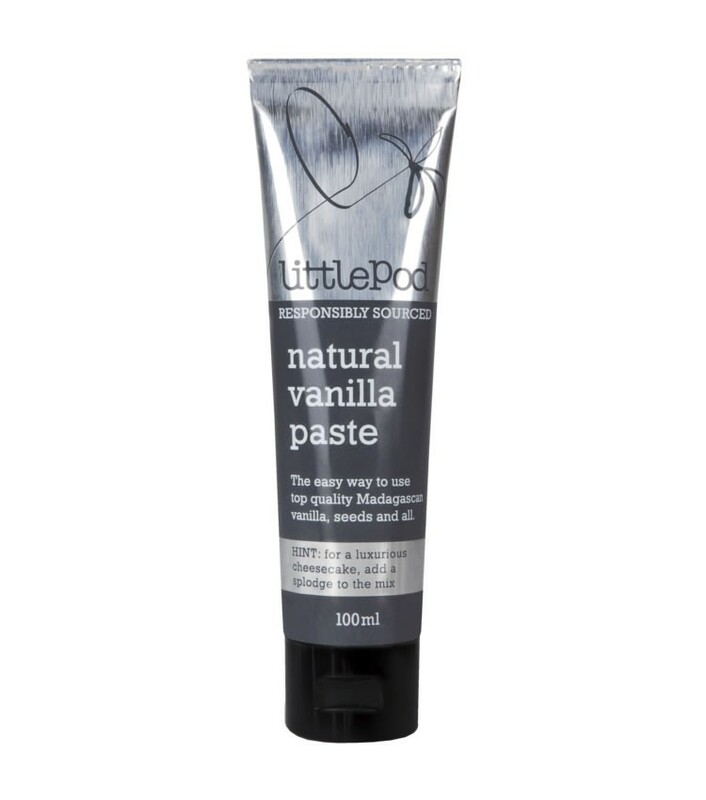 Using real vanilla can be cheaper than you think, a tube of 100ml vanilla paste by LittlePod is equivalent to 20 madagascan vanilla pods and costs just £9.99 from here. Most importantly if we lose interest in using real vanilla then this will mean that availability will become scarce as farmers turn to yielding alternative, higher profit crops. Janet from an adorable little company called LittlePod is campaigning for the use of real vanilla by offering a number of natural products to boot. The future of real vanilla remains dependent on our use of it in the West. If people continue to use artificial vanilla then farmers will increasingly turn to cultivating more lucrative crops such as palm oil to make a living. 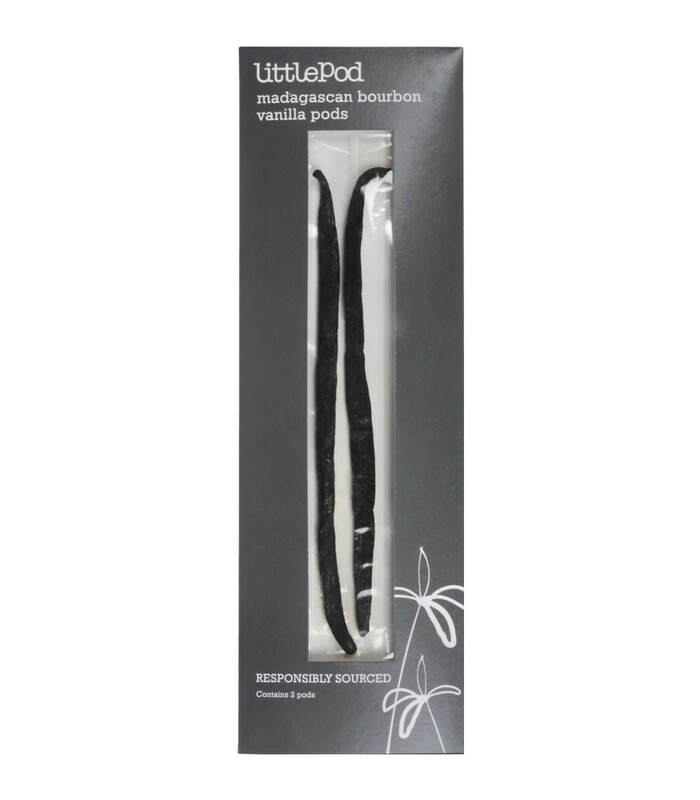 Equivalent to at least 20 Madagascan vanilla pods. Flip-top lid allows for easy preservation and storage. 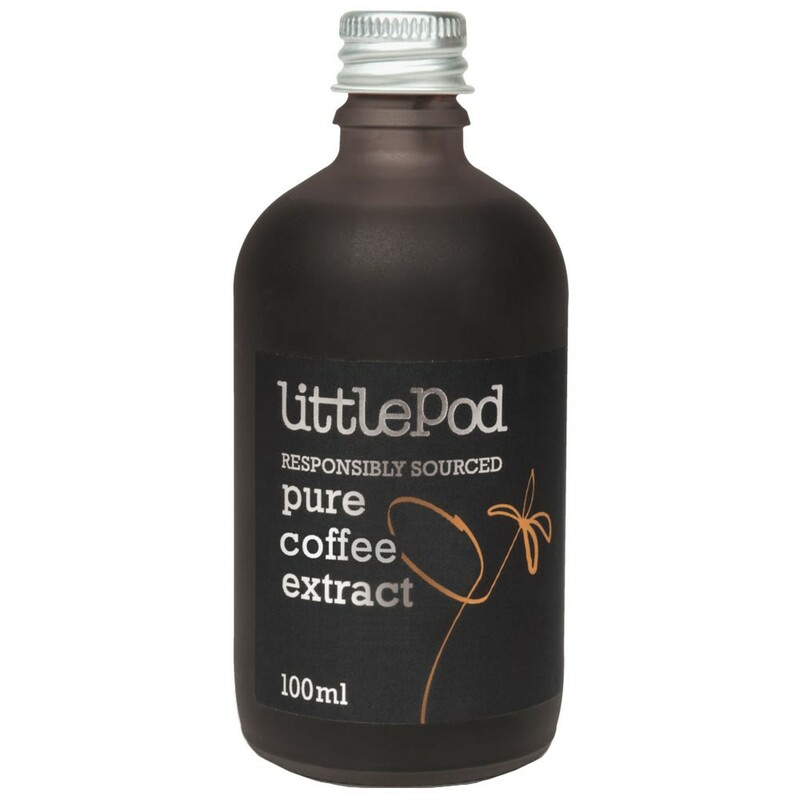 1 tsp is equivalent to 1 vanilla pod. Gluten-free, free from nuts, suitable for vegans and even Kosher Certified. Cost effective at just £9.99, find out more here. 1 tbs approximately equivalent to 1 vanilla pod. Ideal for all kinds of baking and desserts. An affordable price of £6.49, find out more here. Vacuum packed for preserve freshness and authenticity. 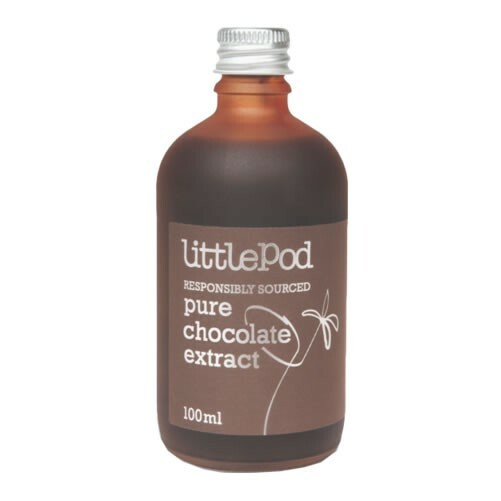 Can be used in a number of mediums such as custards or ice creams. Responsibly sourced and costs a mere £4.50, find out more here. Bursting with authentic cocoa beans from the Ivory Coast. Richer flavour than cocoa powder. Enjoy for just £6.99! find out more here. Rich, intense coffee flavouring with coffee beans from Brazil. Enhance coffee or use in a number of delicious recipes such as Tiramisu. Rich Brazilian coffee for £9.99, can’t beat it! find out more here. A hardback book jam-packed full of 50 indulgent recipes. Tantalising images by photographer Steve Painter. 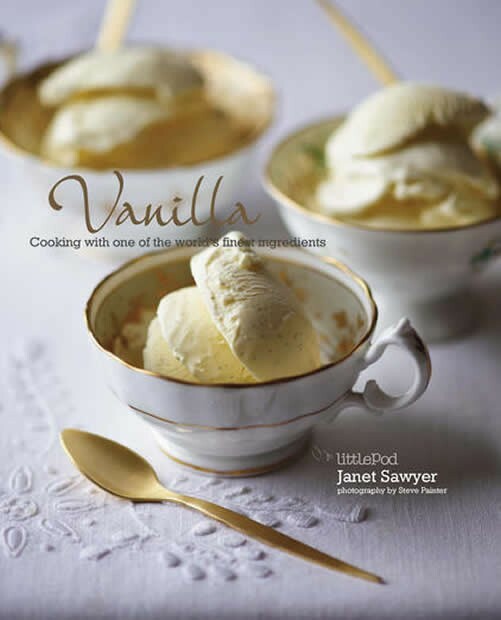 Enjoy the benefits of real vanilla with the hardback version at £16.99, find out more here. So there we have it, the importance of using proper vanilla is very real. 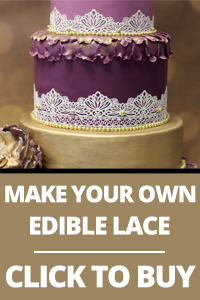 It will enhance your creations beyond anything you have ever tasted.